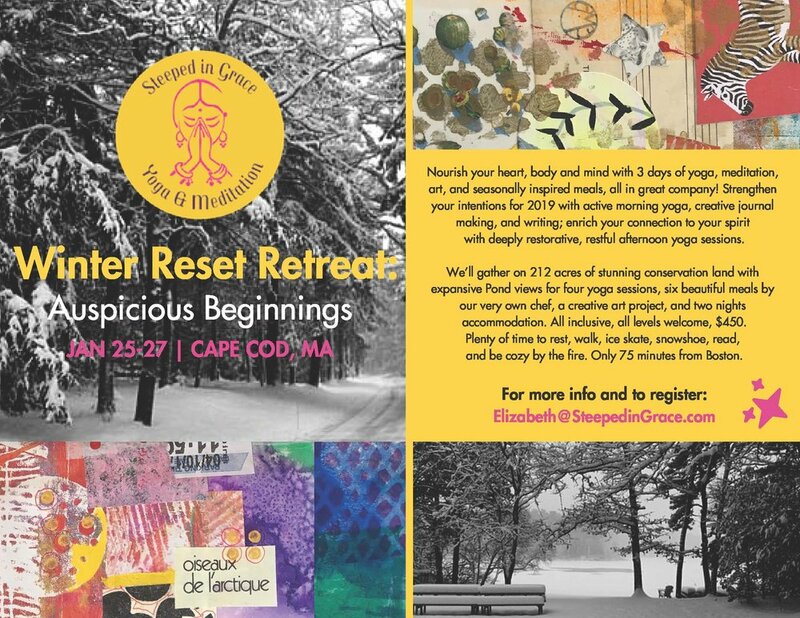 I’m teaching an art journal making class as a part of this amazing yoga retreat! Four luscious yoga classes, chef on site, cozy time by the fire, and time to set your intentions for 2019. Join me! It will be wonderful! Register by emailing me for more info!